Ken is well-known as the owner of many championship titles from various fighting tournaments. 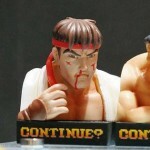 All the techniques that he mastered using his superior fighting sense can all be recreated using the Revoltech joints on this figure. 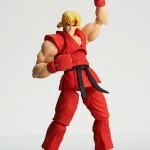 He is wearing his Red Karate GI, with his blond hair flowing with his movements.